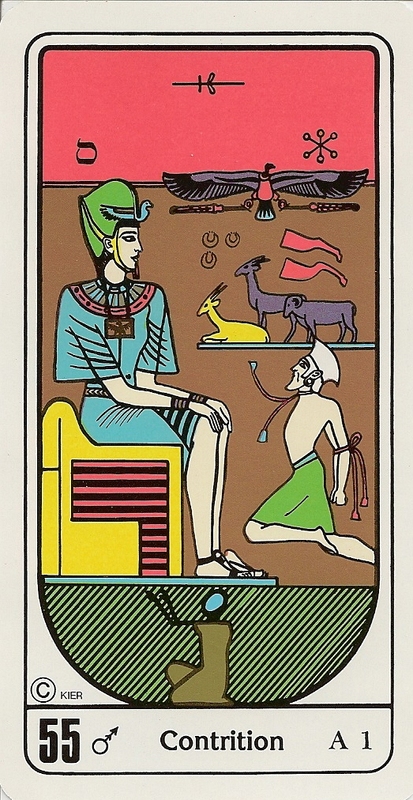 The design of this tarot features Egyptian symbolism based upon the writings of Professor J. Iglesias Janeiro in his work "La Cabala de Prediccion". 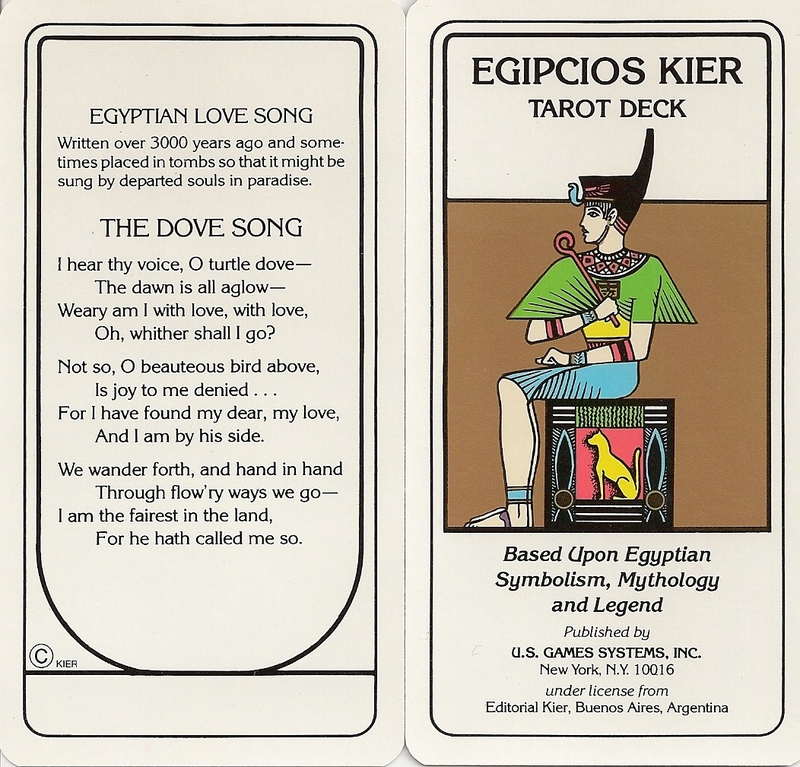 The deck was first printed by Editorial Kier in Argentina in the 1970s and then reprinted by U.S Games in 1984. 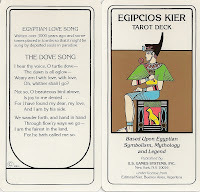 The Egipcios Kier Tarot contains 22 Major Arcana and 56 Minor Arcana, but the Minor Arcana are not divided into suits, and there are no pip cards and court cards. On the top of the Majors there is an Egyptian hieroglyph, an alchemical symbol, a letter from a magical alphabet, as found in the grimoire "The Key of Solomon the King" translated by Mac Gregor Mathers. 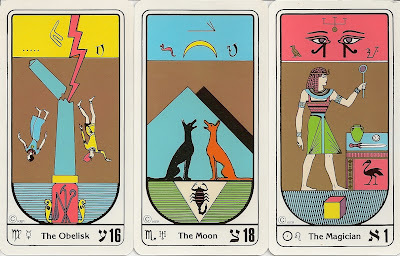 On the bottom of the Majors from left to right there is the symbol of a planet, a zodiac symbol, (on 11-22 the zodiac is first with the planet symbol second...), the title of the card, a Hebrew letter, and the number of the card. 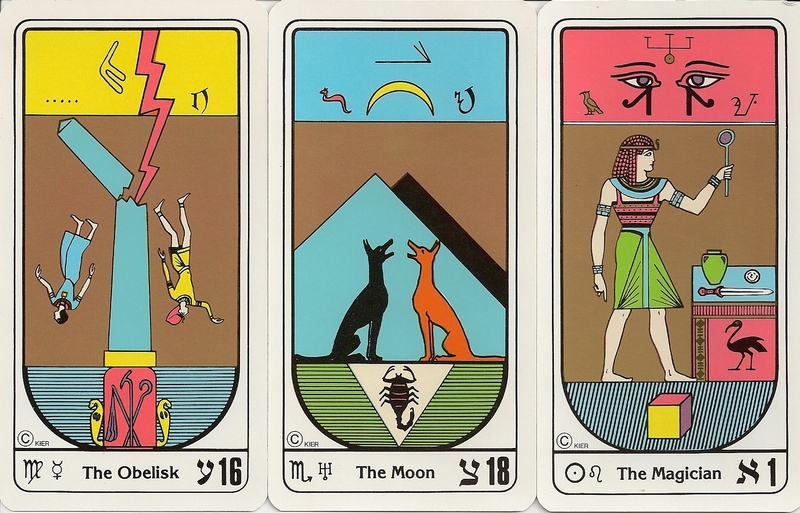 On the Minors, on the top of the cards from left to right...a Hebrew letter, an Egyptian hieroglyph, and then a letter from the magical alphabet. At the bottom of the card is the number of the card 23-78, a symbol of a planet, the title of the card, a roman letter and an Arabic number that corresponds to the magical alphabet from the top of the card.